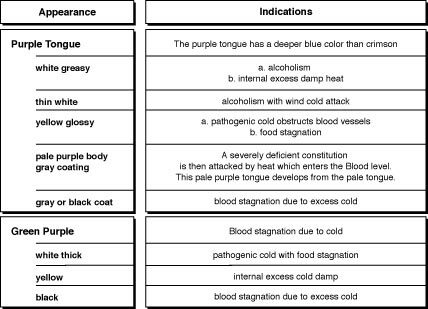 Indications of coating variations of the purple tongue body. gray coating A severely deficient constitution is then attacked by heat which enters the Blood level. This pale purple tongue develops from the pale tongue.